Document templates in Dynamics CRM 2016 enable any CRM user with the right permissions to create a document in Microsoft Word or Excel, providing full features and allows to enter CRM references into a document and distribute it in your CRM organization. ministrators can show users how to use document templates themselves. Users get their documents quicker and can access them whenever they wish. This results in cost and time savings for end users. The ability to access, update and analyze CRM data on mobile is a must-have in a CRM deployment. With the need to provide a rich mobile experience, even when users have little to no data connection, mobile – offline feature is enhanced through Dynamics CRM mobile offline capabilities with a richer experience, opening up features that were previously available only with a data connection. Benefits: The feature of a full offline experience with mobile apps provides the ability to get work done even when there is interruption in connectivity. Users will be able to create, change, and delete records while offline. Automatic playback of offline actions helps synchronize local changes with Dynamics CRM Online. The mobile apps provide a seamless user experience when switching between online (connected) and offline modes. The Guided User Navigation feature allows to add live, scenario-based guided tasks and sidebars personalized to users based on their role to show them what they need in terms of features and how to do it. These are fully customizable and can provide users with a resource that can be used into at any point in the business cycle. Benefits: In terms of onboarding users, this will dramatically speed up the process and potentially reduce the need for instructor-led training. 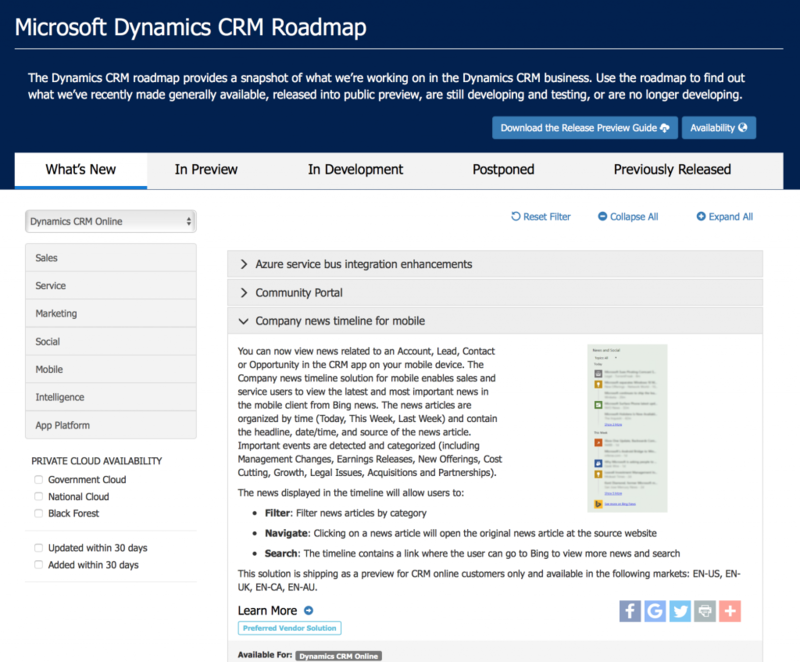 Dynamics CRM is here to stay – from users to organizations implementing the customer relationship management platform by Microsoft to see real tangible benefits.